Case Closed: The Mirapolis Investigation, known in Japan as Meitantei Conan: Tsuioku no Gensou (名探偵コナン 追憶の幻想, lit. "Detective Conan: Fantasy of Remembrance"), is a video game for the Wii. 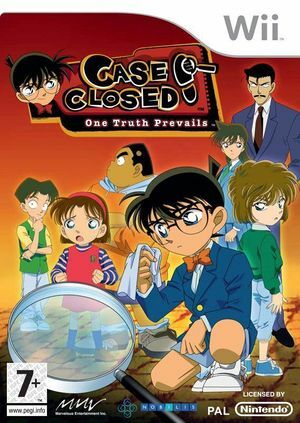 It is based upon the popular anime and manga series Case Closed by Gosho Aoyama. Players use the Wii Remote to find clues and solve the cases. The graph below charts the compatibility with Case Closed: The Mirapolis Investigation since Dolphin's 2.0 release, listing revisions only where a compatibility change occurred. This page was last edited on 2 January 2019, at 06:36.